Ukrainian servicewoman Nadezhda Savchenko reacts after she was honoured by Ukrainian President Petro Poroshenko with a Hero of Ukraine Gold star in Kiev, Ukraine, May 25, 2016. Maxim Yusin, Kommersant's international observer, analyses what will happen next in the tussle between Moscow and Kiev. The exchange of Nadezhda Savchenko for two Russian servicemen captured in Ukraine has engendered a contradictory reaction in Moscow's patriotic circles. If, however, emotions are kept aside, it is apparent that there are more pluses for Moscow in this move than minuses. First, Ukrainian society and the West will be free of one of their main irritants, one of their main reasons for criticizing Russia. PACE, the European Union Parliament and other international organizations will no longer adopt "Savchenko" resolutions condemning Russia. Secondly, the two men whom Ukraine called Russian servicemen are returning home. Even though, from Russia's legal perspective, Alexander Alexandrov and Evgeny Erofeev had not committed any crimes, they were being detained in Ukraine. And, for a long while, there has been a perception that Russia had turned its back on those two citizens and their troubles. Now that perception will be dispelled. 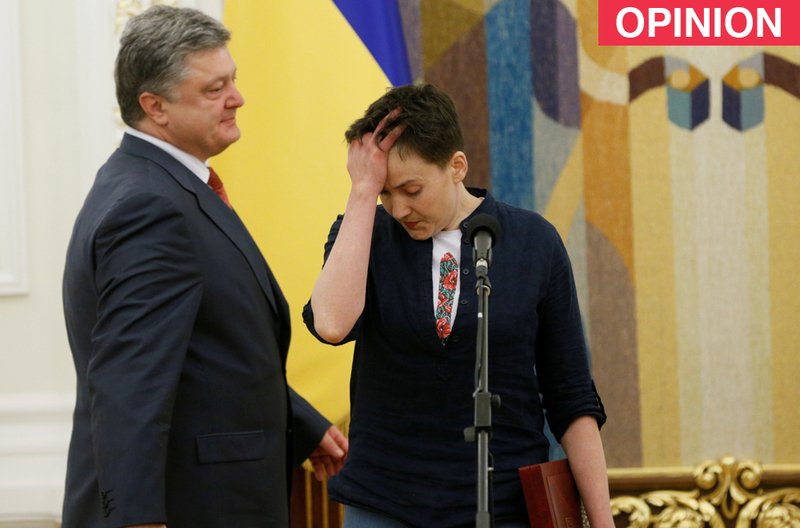 Thirdly, Nadezhda Savchenko will stop being a Russian problem and, very likely, will become a Ukrainian problem. She will maintain her status of national hero for a few weeks, perhaps months. But then the euphoria will vanish. And President Petro Poroshenko and other Ukrainian leaders will have to make a difficult decision: how to include such a popular and at the same time unpredictable and radically minded player within the country's political system. There is no clarity on whether the establishment in Kiev will make the right decision. About the ‘cons’ or minuses, there is only one, for now. "The Savchenko Affair" has dragged on for an unacceptably long period of time, during which Moscow's reputation in the international arena has been badly damaged. No matter what people may think of the Ukrainian pilot, when one woman opposes an entire country, a nuclear superpower, many in the world will sympathize with the woman, regardless of the essence of the accusations against her. The entire story with Nadezhda Savchenko's show trial was a mistake from the very beginning. But since there is no way back and the mistake cannot be corrected, it is important to at least minimize its consequences. And that has been done, by announcing her release.